Fresh details have emerged in the case of Muhammad Haneef, the Indian doctor charged in connection with the failed UK bomb attacks. The mobile phone SIM card belonging to Haneef was actually seized by the police eight hours after the jeep crashed in the Glasgow airport, when Haneef’s cousin Sabeel Ahmed was arrested in Liverpool, sources in the UK and Australia have told the Australian Broadcasting Corporation (ABC). A Brisbane court was told on July 13 that a mobile phone SIM card belonging to Haneef was found in the Jeep that crashed into Glasgow Airport on June 30 in which his second cousin Kafeel Ahmed had suffered 90 per cent burns. 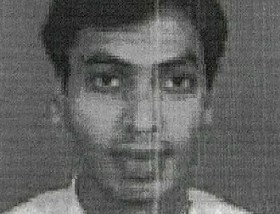 The 27-year-old Indian doctor has been charged under the Australian counter-terrorism laws with supporting a terrorist organisation by ‘recklessly’ giving his mobile phone SIM card to people planning the UK bomb attacks. Haneef has admitted to giving the SIM card to his second cousin Sabeel Ahmed, the third person charged in the botched British bombings, so that the latter could take advantage of an ‘extra minute deal’ offered by provider O2. Prime Minister John Howard said the terrorism laws, introduced in 2004, were necessary “to the very last letter,” and opened the door to possibly strengthening them. “I believe the present laws are all necessary, I have an open mind as to whether they might need to be strengthened in the future,” Howard said.Civil rights groups had protested over Haneef’s detention without charge.